Title: 'Asia Partiu Orbis Maxima MDXCVIII'. Published in Cologne by J. Bussemacher. 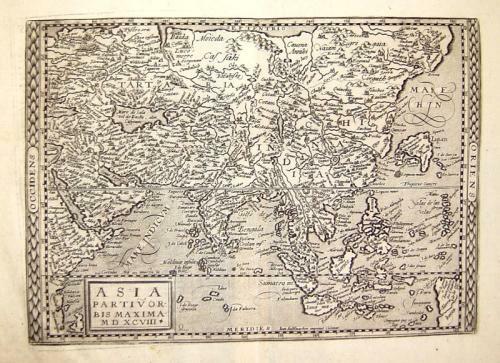 An elegant map of Asia based on De Jode.